Happy New Years, and thank you once again for everything last year! I hope that 2016 brought you fewer struggles than it seemed to bring everybody else. In Roman myth, Janus was the god of new beginnings, portals and of transitions. 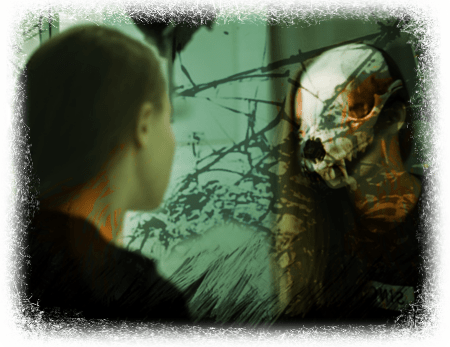 He had two heads, one looking backward and one looking forward. I always thought that this was where the name “January” came from, but Wikipedia suggests that it might have came from the god Juno instead. Still, it is appropriate that January be the month of Janus, for it is a month of reflection and of looking to the future. This year brought some joys and it brought some disappointments. Tempest has been pushed back again, but not needlessly so. Our Instagram profile has seen a huge growth of followers over the last year (105 to be exact!) In particular, this was due to the posting of one image, “Obelisk” by India-Lee Crews in early November. Something about the image must have resonated, because it gained over 600 likes (our largest number to date) and 30 new followers. Perhaps it was the hashtag #landscape that did it, or the amazing art. Our Twitter also saw some growth (77 new followers) as did our Facebook (hitting the 100 mark mid last year). 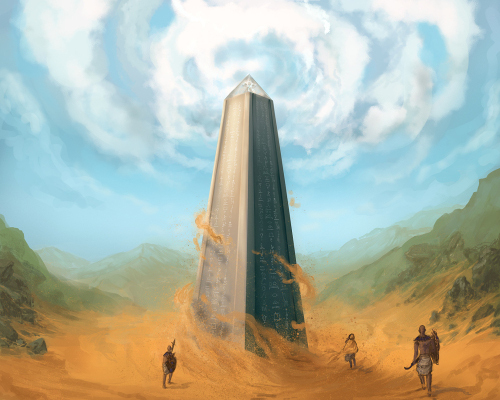 Posting “Obelisk” was part of a drive of images on Instagram, putting up a weekly Work-in-progress Wednesday, Throwback Thursday and Final Art Friday. It went well, and you can expect to see many more on our Instagram account this year. We attended CanCon, Supanova Sydney, DevCon and PAX Australia last year, bringing Tempest along for demo games. If you swung by to say hello at any of these, thank you for your joy and your feedback. It is always awesome to speak to people who are so enthusiastic about the game and so full of new ideas for it. Tempest has gone through about 150 hours of playtesting to date but it still isn’t ready. To be honest, the game has a lot more development to go through before I am happy with it. It just hasn’t quite found its niche yet. That is the point of development though and, as I said this time last year, I would rather delay again than release something unfinished. The game has has kept its core mechanics and it is the surrounding concepts and strategy that are being worked on. Artwork for Tempest continues to come in. The Egyptian faction is now completely illustrated (including the amazing “Anubis, Judge of the Dead” by Pui Che), the Norse faction is 90% illustrated, and the Japanese and Greek factions are about 50% illustrated. Once the Norse faction is finished (as well as our two final deity cards) I will have enough art to use during a crowdfunding campaign and for sending review copies out. We joined the digital world at the start of this year, coding Darkly Dreaming for release on Tabletopia. The game is currently up and available to play here, and preproduction copies will soon be circulated to reviewers. If you are a reviewer who likes dice games, and we haven’t contacted you yet, please feel free to shoot an email to shannon@foxtalegames.com and let me know! This year will also see us getting more involved in streaming and videos. Our Tabletopia demo for Darkly Dreaming is up on YouTube right now. It isn’t high production values (I just used screen capture software and a laptop microphone) but practice makes perfect! Darkly Dreaming went through an interesting development cycle this year. But once it changed from cards to dice, everything came together in a perfect storm. You may have heard a little about the game from our previous posts. Otherwise, you can check it out here. We are going into promotion overdrive for it this year, so you will likely see more in coming months. If you are at CanCon 2017 and interested in trying it out, let us know and we’ll arrange a demo! If you would like to join our mailing list, or get involved with the creation or playtesting of any of our games, you can sign up to our mailing list or send an email to shannon@foxtalegames.com. ← Play Darkly Dreaming Free!